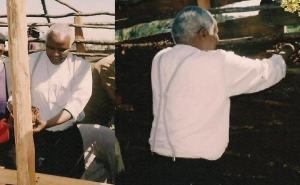 Bishop Korir helps a family rebuild their house after the post-election violence of 2007/2008. It is with great sadness that the International Disarmament Institute has learned of the passing of a dear friend and partner, Bishop Cornelius Korir of the Catholic Diocese of Eldoret in Kenya. 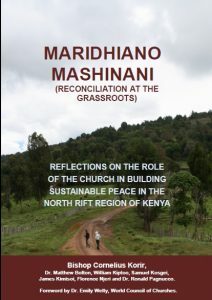 At great risk to himself, Bishop Korir intervened personally to address violence in the North Rift region of Kenya, notably in conflict following elections in 1992, 1997 and 2007/2008. 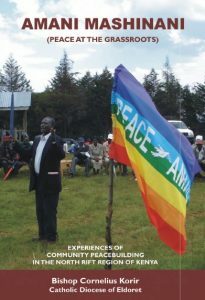 He was known to step between groups of fighters, mobilize care for wounded people, build connections across lines of hostility and encourage antagonists to seek healing and reconciliation.